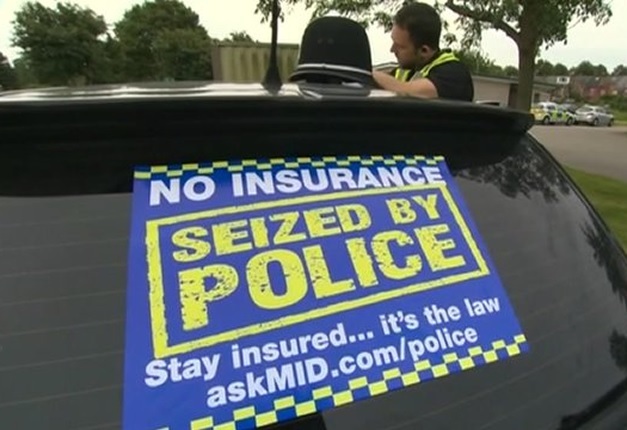 On Monday of this week Police Scotland launched Operation Drive Insured aimed at targeting the 1 million uninsured drivers that the Motor Insurance Bureau have confirmed are currently on the roads in the UK. Clearly this is an astounding number of drivers who are allegedly driving on UK roads illegally and putting other road users at risk. Accordingly, it is reassuring to know that Police Scotland are focusing on bringing these drivers that knowingly drive without insurance to task. 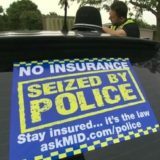 However, if there is one thing we know, it’s that for every driver who is prosecuted for intentionally driving without insurance there is a driver who has been unknowingly driving without insurance and could be facing at least 6 penalty points or even a disqualification and a fine. Our specialist road traffic lawyer, Robert Sheridan, has extensive experience of dealing with all types of road traffic offences and in particular no insurance cases. Although based in Glasgow, he travels across the length and breadth of Scotland representing clients and provides drivers with free specialist legal advice on a daily basis. What is clear from our road traffic lawyers’ dealings with drivers charged with driving without insurance is that they often have no idea that even if they are guilty, they aren’t necessarily due penalty points, a disqualification or a fine! Driving uninsured is a strict liability offence insofar as if it is established that you have been driving a vehicle whilst uninsured then, no matter the reason, you are guilty of the offence. However, if the court can be satisfied to the sufficient standard that there were special reasons as to why the offence was committed then the court can refrain from imposing penalty points, or a period of disqualification and a fine. There are a number of different sets of circumstances that may merit a finding of special reasons by the court. 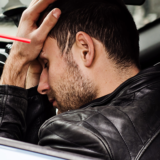 Common examples include where a driver has been given an assurance by a family member or friend that they are covered by their insurance or where a policy is cancelled without a driver’s knowledge. However, when looking to argue special reasons, there is no room for assumptions or complacency. Achieving a successful outcome in a special reasons proof is not a straightforward task and experience in such matters and a thorough knowledge of the appropriate case law is often essential to achieving a result. At Sheridan Road Traffic Law, we have the experience and expertise to assess your case, build a robust argument and present the strongest possible case to achieve special reasons in your case and avoid the imposition of points on your driving licence or a disqualification. Our specialist road traffic lawyer regularly represents clients in special reasons proofs in Glasgow Sheriff and Justice of the Peace Court and across the country with outstanding success and is available to speak to you about your case 24/7. So, find out if you have special reasons, call us now on 0141 465 3333 for a free specialist legal advice.